The latest round of climate change talks held at the United Nations Framework Convention on Climate Change (UNFCCC) secretariat in Bonn, Germany was concluded recently, and while a lot of areas were discussed in this round of talks, agriculture remained the major focus for the most part of the discussion. Until the previous climate change talks held at Bonn in November 2017, agriculture did not receive proper attention in the decisions of the Conference of Parties (COP) of the UNFCC. Farmers are among the first few groups of people who are affected by the climate change, and since weather and environment play a pivotal role in the production of crops, a serious agriculture talk was long overdue. The primary objective of the recently concluded talks was to assemble the contents of a negotiating text that would be presented for particular political discussions at the 24th session of the Conference of Parties (COP24) in December 2018, which would take place in Katowice, Poland. Though the results, with respect to the agenda, were underwhelming, it led to an agreement on a three-year road-map. The agreement on the road-map is being considered as the first significant step since COP23. Following a number of meetings of the Parties in the current round of talks, the negotiators chalked the details of the timeline of activities in the run until 2020, when reports on the outcomes of negotiation will be submitted to the conference of Parties (COP) for consideration. It is believed that the developing countries will be benefited by the commencement of the agriculture talks since their economies and jobs depend a lot on the particular sector. Due to the significant changes in the climate, the countries have experienced a jolt to their economy, as the production of crops was affected by it. For years, the developed and the developing countries had contradictory opinions on various issues, but thankfully, they have come to an agreement to prioritize mitigation in the agriculture sector. 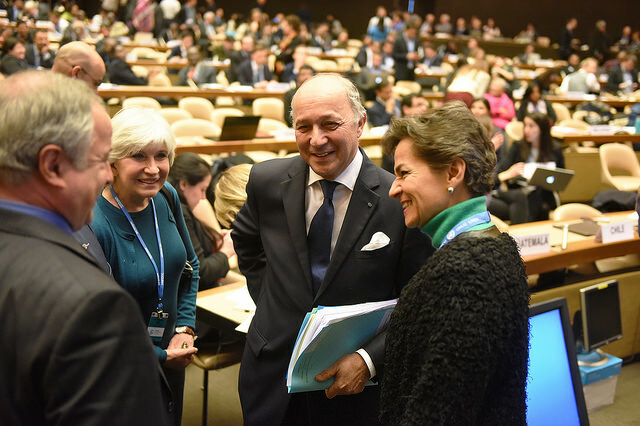 The road-map is believed to create opportunities for the countries to come together and discuss methods to fight the impact of climate change. So far the developed countries expressed that the developing countries should take the responsibility, since one-third of the greenhouse gas (GHG) emissions responsible for climate change come from the agriculture sector. The developing countries, however, exclaimed that the agriculture in the developed countries is highly industrialized as well as energy intensive, which makes them more obligated to take positive steps to reduce the emissions generating from the agriculture industry. Parties and the observing members of the climate change talks now have two years to work on various actions in the agriculture sector before more specific guidelines are mentioned in 2020. The roadmap is also believed to focus on the improvement of the soil health, livestock as well as better water management systems. It is also highlighted that the socio-economic aspects of the agricultural sector, such as jobs and food security will be dealt with priority throughout the process. According to Mithika Mwenda of the Pan African Climate Justice Alliance (PACJA) agriculture is now perceived as an issue of sustainable development, and since climate change affects the livelihood of the people, it should be dealt as a human rights issue.